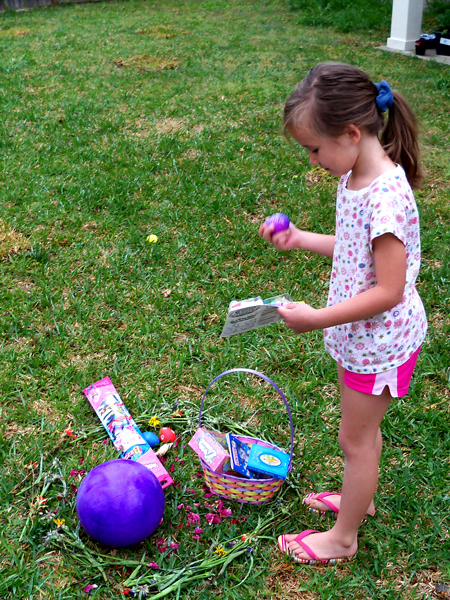 This year, my daughter was really excited about Easter. As soon as the Easter decorations came out, her favorite game was hiding the eggs in the living room and forcing anyone who she encountered to find them. 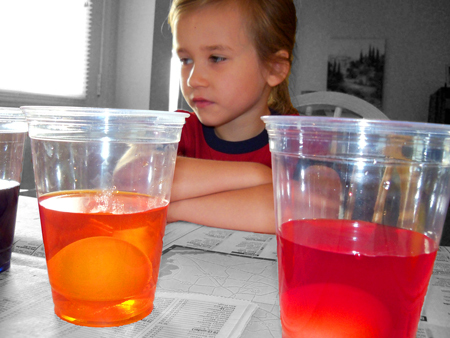 The day before Easter, we dyed eggs. Corina said she had never dyed them before – maybe that’s my fault. To me, it’s always been about the candy, and you can’t stuff it into a hard-boiled egg. But you can do plenty of other fun things with hardboiled eggs, like throw them at each other. And then, when they crack, you can ask if you can take the photo. 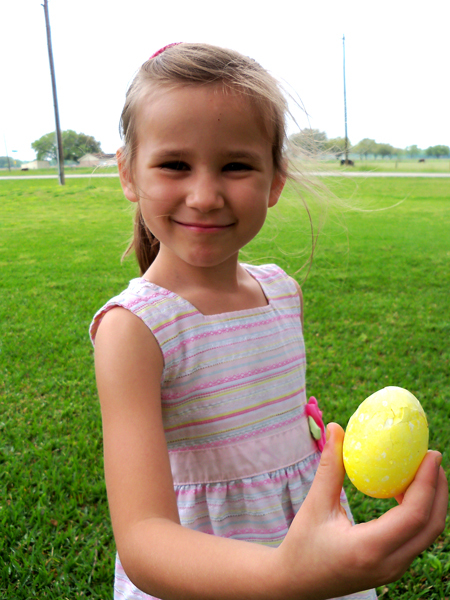 Corina holds a cracked polka-dotted egg. Easter means a lot of traveling. We went to church, Kim’s aunt’s house and my aunt’s house. Our day started early so we could make 7 a.m. mass. 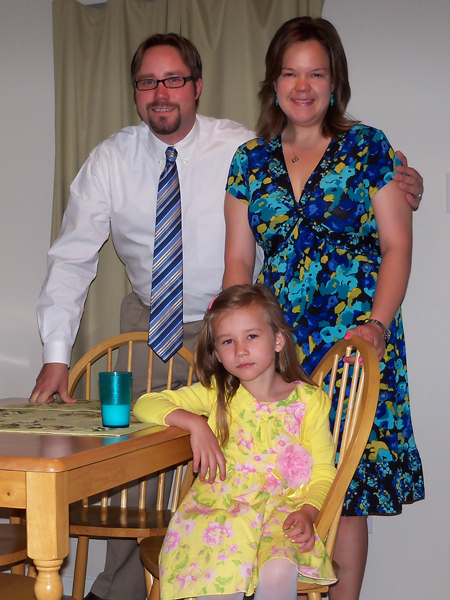 Some of us were awake for this pre-mass portrait with the camera timer. Aside from seeing so many great people, Easter is about new awakening – and traditions. We started a new tradition this year of building a nest for the Easter bunny. The nest is made out of wildflowers and rose petals. The bunny delivered!